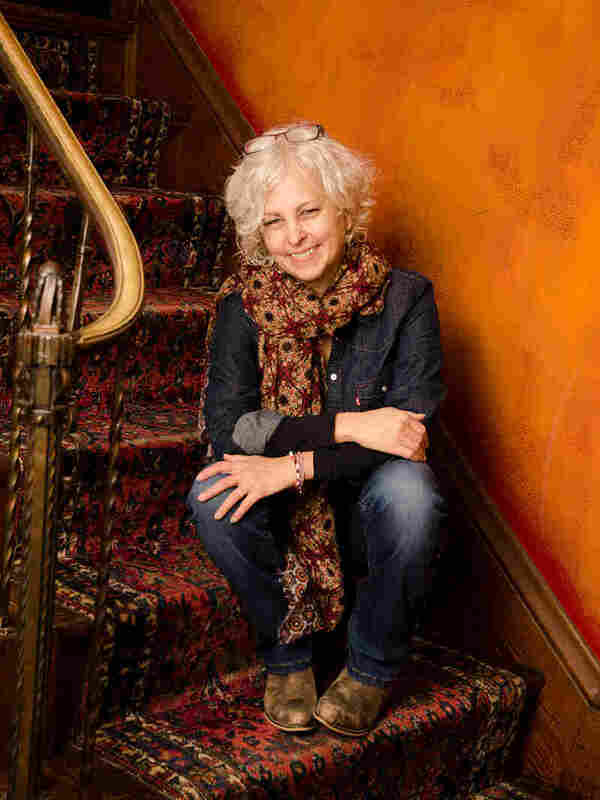 Kate DiCamillo, Chronicler Of The Hard Truths Of Youth She's hugely popular and comes across as something of a smart aleck, but the children's author says she retains the timidity of her youth. She says that helps her connect to her young readers. Kate DiCamillo's career as an author of children's literature took off after she moved from Florida to Minnesota. It's a Saturday evening in St. Paul, Minn., and 400 parents and children have gathered for the launch of a new book by author Kate DiCamillo. The event was organized by the Red Balloon Bookshop which, nearly 20 years ago, hosted the launch of her first book. She told the audience she wrote that book, Because of Winn-Dixie, right after moving to Minnesota from Florida. "I knew that it was cold, but I thought, 'How cold could it be?'" DiCamillo said. "And I literally — this is true — I didn't have a jacket when I moved here, and I didn't have socks." And she no longer had a dog. So she wrote one and named it Winn-Dixie. She told the crowd she didn't always want to be a writer. "I knew, when I was growing up, I wanted to be a veterinarian, until something very unfortunate happened in the vet's office involving somebody's German shepherd and their eye falling out — and me outside, vomiting, having the sudden awareness I didn't have what it took to be a veterinarian," she said. Because of Winn-Dixie changed DiCamillo's life. It was the first of her string of bestsellers for young readers, ranging from novels (The Tale of Despereaux, Flora & Ulysses) to picture books. 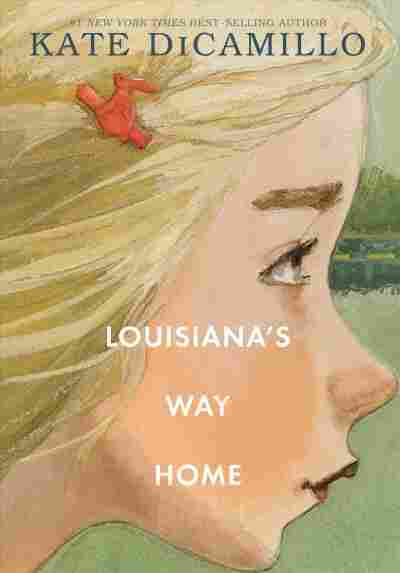 The latest entry is DiCamillo's new novel Louisiana's Way Home. With reading glasses perched atop her now-gray curls, DiCamillo is not much bigger than most of her young readers. Her friend and fellow author Julie Schumacher is struck by how DiCamillo seems to understand them. "She has a sort of child-like frankness when she talks to them, and she will point at people and tell them to sit down and be quiet if she needs to," Schumacher said. "But she'll also connect to them one-on-one in a way that I think many other writers of children's lit who never had children were able to do as well, going back to C.S. Lewis." Despite having written 25 books for youngsters, DiCamillo doesn't have children of her own. But she vividly remembers being one — and not being taken seriously. "And it happened all the time because I looked like the kind of kid who should be patted on the head and, you know, sent to an orphanage," she said. "But I was actually very sarcastic." She still is, and she knows her readers can take it. "One of the things that I love about interacting with kids is: I get that chance to see them as individuals and not to condescend to them," she said. "And that comes back to that whole larger thing about writing and telling the truth." Her stories don't hold back about the hard truths of life. Julie Schumacher, who is also a professor of English at the University of Minnesota, says DiCamillo often writes about individuals — some human, some animal — facing the world alone. "There is no beating around the bush," Schumacher said. "The characters suffer. There's great suffering in these books, there's great loneliness — a sense of abandonment that pervades everything she has written." It's very much a part of Louisiana's Way Home. It's the story of the orphaned Louisiana Elefante, who lives with her eccentric grandmother. Early one morning, Granny tells Louisiana they have to leave immediately to escape a family curse. So I got in the car, and we drove away. I did not think to look behind me. How could I have known I was leaving for good? I thought that I was caught up in some middle-of-the-night idea of Granny's and that when the sun came up, she would think better of the whole thing. Granny has many middle-of-the-night ideas. DiCamillo's stories aren't just for young people, said reading specialist Betsy Kelly at the launch for Louisiana's Way Home. "So many adults just want to read those books, because they really are quality literature, with depth and such amazing plot lines," Kelly said. "And so a lot adults love her books too." Despite legions of fans, DiCamillo said she is sometimes scared by the unlikelihood of her success. Even though she comes across as a smart aleck, she admits to being timid. So she wants to send a message to her readers. "Guess what?" DiCamillo said. "You're going to be OK. And I didn't always believe that when I was a kid." Kate DiCamillo's books may be filled with hard truths. But there are always moments of hope and joy.